We also provide technical knowledge for manufacture of utensils from low nickel SS-200. 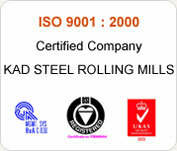 To further support our customers for usage of indian SS-200 sheets/circles. We offer mouldes, for all items, machine, manpower to educate, help customer to produce kitchenware.